Short-movie by Robert Valley (2003). Not sure about the music but it sounds like a Massive Attack song. 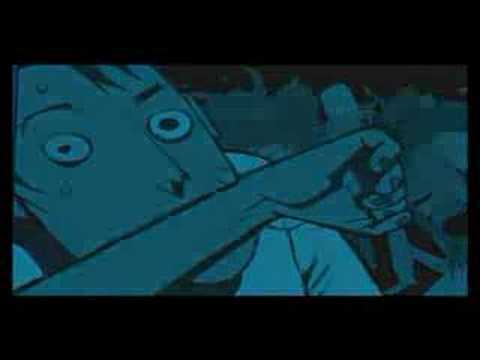 Robert Valley is an american artist who worked on Aeon FLux (direction), Dark Fury (story-boarding), but he’s the main animator on Gorillaz music videos. Interesting, I don’t think I’ve ever seen an animated POV-style short before! Thanks!